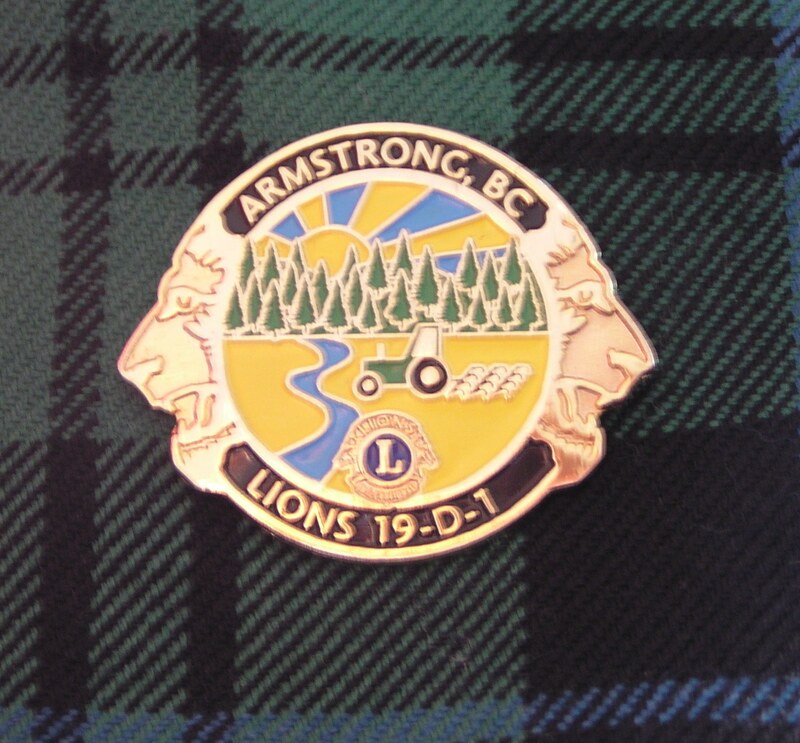 The Armstrong Lions Club began in 1982 and has provided major aid to those in need in the Armstrong/Spallumcheen, and the larger community, in our attempt to make this a better place to live. Money raised from the public goes back to the community in donations and services. We pride ourselves in having provided many items for the city such as the new playground equipment at Memorial Park , construction of the Gazebo at Memorial Park for family gatherings, picnics and music in the park. We experience fun and fellowship providing help where it is needed. We are currently fundraising for a Service Dog to be placed with a resident in the Armstrong area and our goal is to raise $25000. In 2017 we fundraised successfully $108,000 to replace the ARGON Eye Laser used at the Lions Eye Centre at the Pleasant Valley Health Centre in Armstong. We united with the Enderby, Sicamous, Lumby and Vernon Lions, as well with strong community support from the Armstrong Legion, Armstrong Ladies Club, Haugen Centre, with a major contribution from Askew's Foods and a $50,000 donation from ASHA, the Bargain Bin in Armstrong. This Laser provides medical treatment for residents of the North Okanagan and beyond and is a legacy to Lion Tom Nordstrom who pioneered this project over 20 years ago. In 2018 we were recognized by Askew's as their choice as Armstrongs recipient for their charity give away as we are becoming recognized as a service organization in Armstrong worthy of recognition. In 2018 we joined with the Armstrong Legion to spearhead the community Christmas Food Drive and collected over 6600 pounds of food for the Okanagan Boys and Girls Club Armstrong Food Bank. We welcome new members as our Club celebrates it 37th Anniversary. We are the largest service club organization with more than 1.3 million members in approximately 45,000 clubs in more than 200 countries. Since 1917, Lions clubs have aided the blind and visually impaired and made a strong commitment to community service and serving youth throughout the world. Our membership is open to Men and Women over 19 and you will enjoy the fellowship of like-minded people and have the satisfaction of giving back to the community you live in. We will never ask for more of your time than you can give but we can assure you that it will be time well spent and lots of fun too! Contact any Lions Club Member or Diann at 250-546-0026 or Patti at 250-540-1321.